A wise person one said that when you talk well of other people – they think that you are a brilliant conversationalist. There is more truth to that than just the mere irony of saying something pleasing about someone else elevating you in the minds of your listeners. In social media, we forget that speaking well of others make us both look good. This may well be the most overlooked piece of business advice on the planet: Social space is free – give your best clients advertising to build appreciation, loyalty, and brand recognition. Online Reviews – Statistics show that people are 23% more inclined to do business with companies that have positive reviews. Translation? Online reviews on sites like Yelp are gold for companies trying to get a leg up on the competition. Leaving a positive review is a two-fold link because it allows people who find their services to read your reviews and find out more about your company. Shout Out on #Twitter – A good Twitter following can be an asset to any company that wants to broadcast news and PR about their company. Twitter can also be an excellent platform to share news and press about clients with #hashtags, photos, and links. Post on Facebook –Posting a positive comment about a client on your Facebook or theirs with good #hashtags, links, and images shares your free social space. Nothing draws good feelings like speaking well of their work or company. Share a Resource, Discount Coupon, or Expertise – Everyone likes a good discount or promotion. If you have an excellent resource or expert on a topic that helps build business, then sharing it with good clients shows that you are on their side. Some clients have a customer appreciation meeting and hire a speaker to share information on a business topic. This shows that you are interested in the growth of their business. Feature on Blog – The nice thing about a blog is that you get lots of space to really do a good job. If you are not a great writer, then ask the company to write their own highlight footage. Either way, be sure to pass the piece by the company to make sure all details are accurate. Record a Testimonial for YouTube – If a picture is worth a thousand words, then video is worth tons more! Whether you record a video for them or ask them for a video testimonial. It does not have to be a professional video with a production crew, but it should be professional. Get Pinterested in Them – Pinterest is the fastest growing social media in the female demographic. If your clients are in this demographic, sharing an image, links, and #hashtag posts on Pinterst can get others interested in their company. It is a good idea to have a board for nothing but client testimonials. Share the Good News – If your company has a monthly newsletter (and you should! ), profiling a client or customer works to show progress as well as encourages others to strive to be featured in your newsletters, especially if your client base is business to business (B2B). The exposure could bring new clients to their business. Linkedin is Plugged In – Linkedin is the perfect social media to recommend your clients because there are mounds of potential clients and it is set up for reviews. By adding those reviews to your Linkedin company page or theirs, your groups, and your status feed, you can really help them get the word out. The best way to think about ways to say Thank You to your clients is to use your social media FREE real estate to help them build their reputation and following. This method builds good will with your important clients as well as gives you great content for your social channels. Many times, businesses are so focused on building their own social media and marketing avenues that they forget the cardinal rule of safety in numbers. Whether your company is one company “going it alone” or part of larger collection of merchants like shopping center, there is strength in numbers. Sometimes, small business owners believe that they have to compete with everyone else around them in the marketplace. 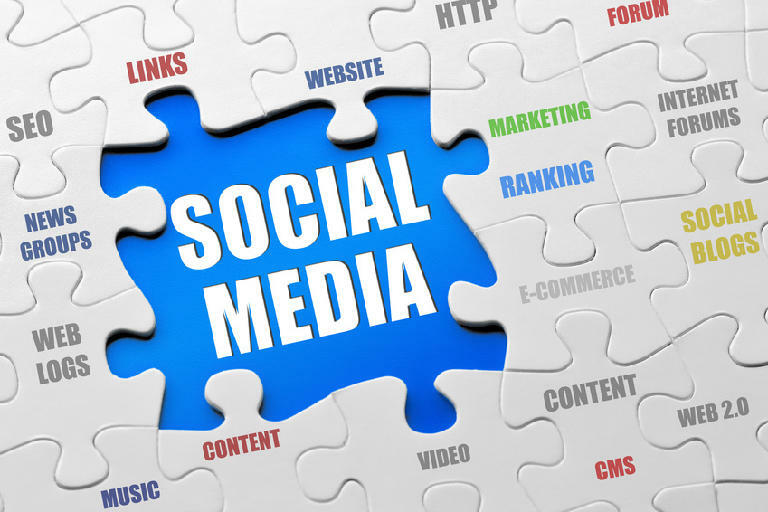 In truth, it is easy to share your FREE real estate of social media with other businesses that flatter your good and services. Online Reviews Sites – Statistics show that people are 23% more inclined to do business with companies that have positive reviews. Translation? Online reviews on sites like Yelp are gold for companies trying to get a leg up on the competition. Take the opportunity to exchange positive reviews on sites like Yelp and Google. Shout Out on #Twitter – A good Twitter following can be an asset to any company that wants to broadcast news and PR about their company. Build the marketing machine by exchanging promotions, deals, and news to tweet. Twitter can also be an excellent platform to share news and press about business partners with #hashtags, photos, and links. Post on Facebook –Posting a positive comment, reviews, and promotions about a partner on your Facebook with good #hashtags, links, and images shares your free social space. Share a Resource, Discount Coupon, or Expertise – Everyone likes a good discount or promotion. If you have an excellent partner, then sharing it with your audience shows that you are on their side and gives you fresh content. In fact, creating a special promotion just for your customers for their services – and vice versa of course – gives everyone a win/win deal. Feature on Blog – The nice thing about a blog is that you get lots of space to really do a good job. If you are not a great writer, then ask the company to write their own highlight footage. Either way, pass the piece by the company to make sure all details are accurate. With some great keywords and images with links, this blog post could be used in your newsletters, social media, and search engine rankings that lasts for years to come. Record a Testimonial for YouTube – If a picture is worth a thousand words, then video is worth tons more! Whether you record a video or ask them for a video of a testimonial, product, or se3rvice, it gives each of you good content to share. It does not have to be a professional video with a production crew, but it should be professional. Get Pinterested in Your Partners – Pinterest is the fastest growing social media in the female demographic. If your partners are in this demographic (and who is not? ), sharing an image, links, and #hashtag posts on Pinterst can get others interested in their company as well as yours. It is a good idea to have a board for nothing but partners. Share the Good News – If your company has a monthly newsletter (and you should! ), profiling a business partner encourages others to strive to be featured in your newsletters. Moreover, it can show your email list that you are interested by sending them exclusive partnership discounts or deals they might not get otherwise. The exposure could bring new customers to each business. Linkedin is Plugged In – Linkedin is the perfect social media to recommend your business partners because there are mounds of potential customers and it is set up for reviews. By adding those reviews to your Linkedin company page or theirs, your groups, and your status feed, you can really help them get the word out as they help you. Connect the Dots and Share the Real Estate. The most important thing about creating a good social media partnership is making sure everyone knows what to expect and defines how they will share each other’s information. Partnership means that each of you is doing your part to help the other cross market. If there is a business not willing to invest the same effort, then move on to others. No matter what size or collection of businesses your business currently resides – to quote the Beatles – you can all “get by with a little help from your friends.” More to the point, you can own the market by surrounding your customers with your brand on social media with the right connections. Unlike a collection of merchants, small businesses might have to connect directly with other businesses, but the connections can create a strong link between customers looking for local services and merchants. Either way, the effort of coordinating a social media marketing effort between brands and companies in close proximity can really own a local marketplace. In all of the social media classes we have taught over the years – there is always one common struggle among attendees. 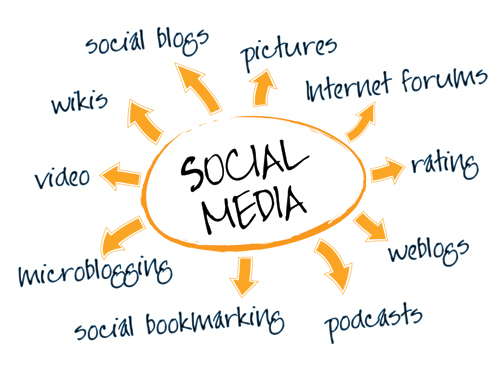 Social media is another language that most people do not speak or understand! 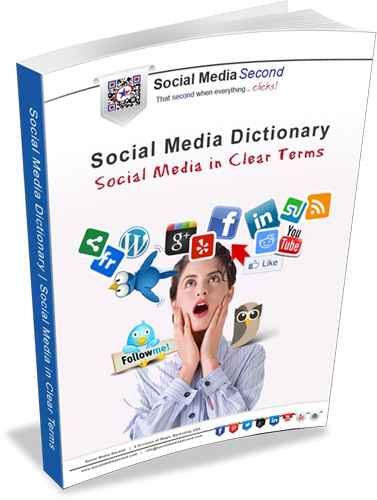 Social Media Second wants to offer you a complimentary electronic copy of our Social Media Dictionary: Social Media in Clear Terms. How can you ask questions when you don’t know the proper terms? How can you manage and execute a strong social media campaign without knowing the language? How can you understand the success of your social media campaign without understanding the language? Please feel free to download your free copy as our way of saying THANK YOU! In networking events all across the country, from Chamber After Hours to professional luncheons to business mixers, there are always those people to meet and greet everyone. Often referred to as the “movers and shakers,” the truth is these people are in possession of the networking personality. You know, the networking personality is that set of charismatic characteristics that turns everyday business people into born promoters and marketers to help grow their contacts and enhance their connection based. THIS IS NOT PROM – GET OVER YOURSELF: This is perhaps the hardest rule for people to overcome. Many people stand on the outside of groups during networking events waiting for someone to come up and speak to them. In truth, the only person who ever talks to them is the servers passing around food or drinks. 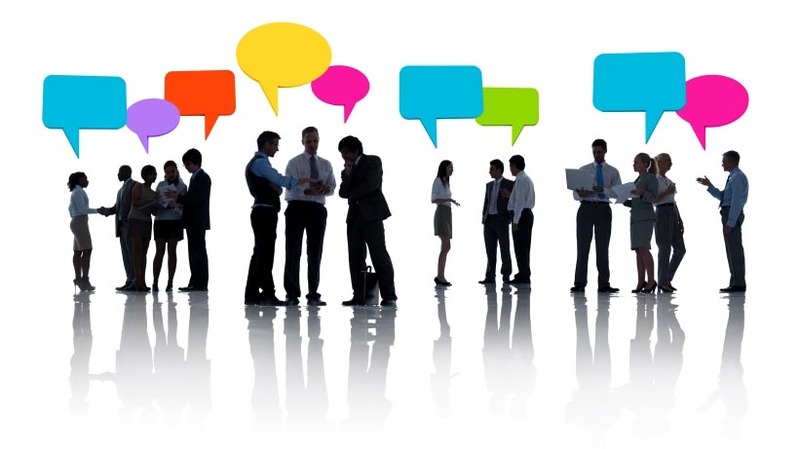 The purpose of a networking event is meet people. It is expected. Every time you approach someone and extend your hand, you are taking a risk, but most people receive an approach very well and appreciate the effort. “NO” CAN BE GOOD: In most people’s minds, hearing NO is the ultimate failure in networking; however, in some cases, hearing NO can be a ground breaking opportunity to disengage early and move on to an introduction that will lead to businesses. In this case, it is very much like buying a house. You will know quickly if the person in front of you is a good contact for you. There is no tragedy if both of you disengages and moves on to new connections. 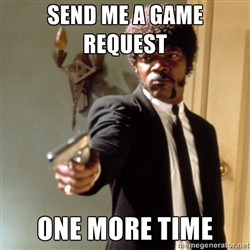 Be professional, ask for their business card, and move on! TAKE INSTEAD OF GIVE (Business cards): There are two problems with giving out a business card without being asked. First, you are spending money with every business card you give. Save your business cards for the people who are great leads. Second, if you give someone your business card, this means they are responsible for the contact. Receiving a business card gives you the opportunity to stay in contact and makes your responsible for the correspondence. Even in cases where the person is not a good contact, ask for a business card for net-weaving (see below). PRACTICE NET-WEAVING: INTRODUCE (3) AND CONNECT (2): At any business event, the goal is always to make connections and introduce yourself to other decision makers. Net-weaving is a great way to keep your placement in the minds of those who are currently contacts as well as make new contacts by connecting people around you. At every event, make it a habit to introduce three current connections and connect two new connections to others. Why? It is simple – when you are interested in other people’s business you stay in their mind. YOUR NAME TAG IS YOUR FRIEND: There are three very common mistakes to wearing a name tag. First, most people with pre-printed name tags tend to forget to wear it. Just like wearing a shirt or shoes to a networking event, your name tag should always be in the right place. The second most common mistake? Putting your name tag on the wrong side. Your name tag should always be on the right shoulder because people’s eyes travel up your arm when you extend your hand to shake hands. Third and final note about your name tag? Invest a few dollars in a pre-printed name tag. Often times, writing your name on a white tag is hurried and looks unprofessional as you try to squeeze your name and company into the little 5×7 sticky paper. It is worth a few dollars to have a clean, branded name tag that is easy to read and associate. BE KNOWN FOR SOMETHING – A DISTINCTIVE SIGNATURE: Establishing a moniker for your appearance or a staple that people can lock in their mind is vital to the networking personality. In a place where everyone is wearing a golf shirt with khaki pants or a simple black dress, it is easy to be “the person who always wears __________.” For women, it might be a scarf or a hat. For men, it might be a bow-tie or a cleaver shirt pattern. Either way, connecting something about your person to your brand makes people remember you all the more. IF YOU JUGGLE, YOU LOOK LIKE A CLOWN: Over and over again, business struggle with the presentation of their materials. Especially true of women with purses or bags, digging for a business card or, worse, giving someone another person’s business card is incredibly unprofessional. If you have to dig for a clean, crisp business card, then it says that you do not have your act together. HINT – keep your business cards in your right pocket and the business cards of others in your left pocket. With this habit, you will automatically be able to produce a business card at moment’s notice. SOCIALIZE LATER – MEET THE PEOPLE YOU DON’T KNOW: It is easy to fall back into the waiting friendships of people who you know and feel comfortable with at a networking event; however, socializing is not the goal. Your goal is to get out there and meet the people who you are not connected. Take the time to gather your senses and really get comfortable with those who are not in your business circle while using those opportunities to connect with familiar people through net-weaving. EVERYTHING IN YOUR HANDS ARE OBSTACLES: At many networking event, food and drinks are supplied as part of the entrance fee. Although this is done with goodness to allow people to relax, everything in your hand presents an obstacle to shaking hands, giving business cards, and interacting with others. If you have set down a drink or ask someone to hold a plate of food, then you are not presenting the most positive professional appearance before those people who are thinking of doing business with you. Clear your hands and streamline your interactions. THE BIGGEST FAILURE – FOLLOW UP: Many times, when people leave networking events, the handful of business cards end up on a desk or thrown away. The most important thing about the networking personality is the plans for how you will connect with the leads you develop during the event. All of the dynamic character and outreach of the networking personality will be wasted if you do not follow up immediately with people while you are fresh in their minds. There are many reasons to work on building the networking personality. If the cliché is true about first impressions being the best impressions, then creating a dynamic lasting connection relies on claiming a unique presence in the mind of each person encountered at the event. After all, there is no point going to a networking event if people don’t remember you have been there. In every Facebook fan page campaign; there are three phases that go together like the 3 Musketeers – the group of sword fighting men, not the candy bar. Those three phases are planning, design, and execution. Even in the most carefully planned and designed Facebook fan page, the execution is the place where most people fall flat in gaining and maintaining an audience of customers. In fact, when executed incorrectly, a Facebook fan page can have your nearest and dearest friends avoiding you in the supermarket! Tag Lightly – Never Hit Too Hard. In every Facebook class, we discuss the ways to tag other people and Facebook pages to draw traffic to your own Facebook page. 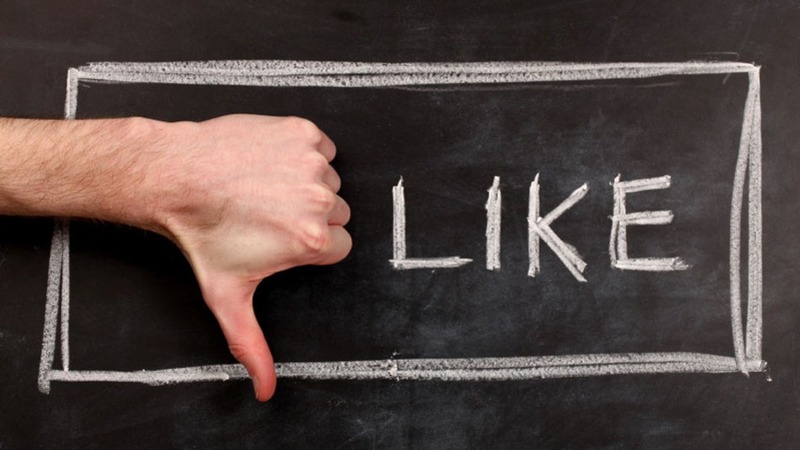 Sometimes, without understanding the effect, people over-tag certain Facebook pages or people in an effort to get attention (or just because they don’t understand the result!). Every time you tag someone or a Facebook fan page, it posts your content on their page. Even with the best of intentions if done too often or in too many places, it is tag-spam (the equivalent of email spam!). Example: During a recent social media party, we allowed all of our Facebook fans to post a link to their Facebook fan page to get the community connected. We asked in return that the posters go to each other’s Facebook fan pages, LIKE their page (to build fans), and leave a hello from the visitor. One person took this to heart! She went to all 87 pages that participated and tagged our Facebook fan page as the referrer. Her posts showed up 87 times on our Facebook fan page! We had to delete them as they went down for pages and pages of 87 link-backs from the tags! 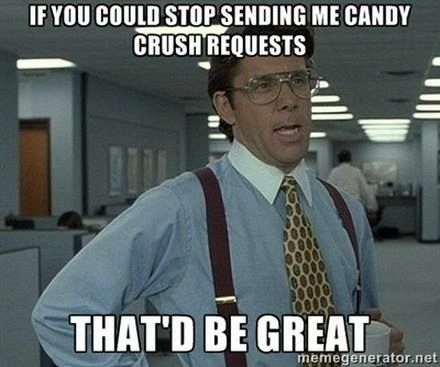 Our next post will discuss Facebook Faux Pas #2: Tresspass Posting! Ready to get rid of your prision number for your Facebook fan page? You have to have atleast 25 fans or likes. You can only set your vanity URL once! SO make sure it is SEO and people friendly! Now…check out this Facebook Vanity URL: Claim Your Name video! Many people ask about how to get a facebook badge on their blog or website. Facebook Badges for Websites and Blogs will walk you through the process of getting the code you need for your website or blog. 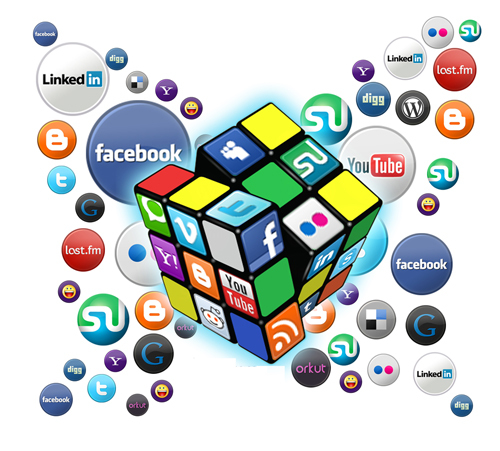 If you have any questions about how to maximize your social media efforts, please email us at questions (at) magicmarketingusa (dot) com.